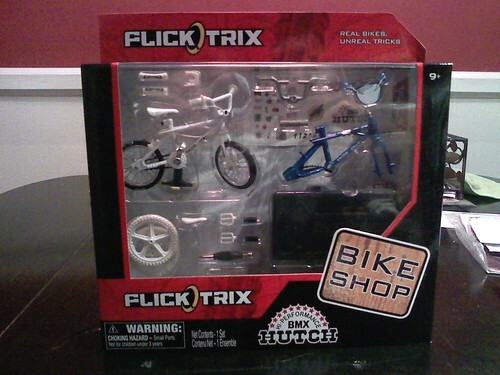 Got a Flick Trix Hutch Trick Star set for my kid today. I may actually let him play with it eventually if he's lucky. 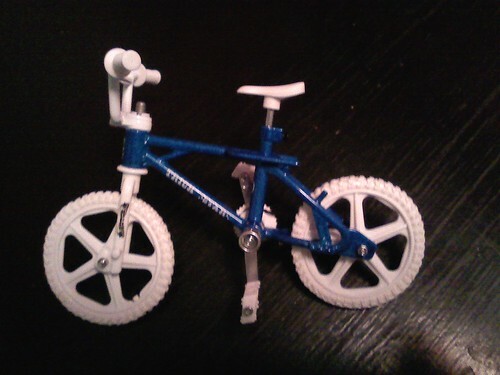 Built it up with the blue frame and all white components... sweet. And yes, it's a fixed gear and it's brakeless.